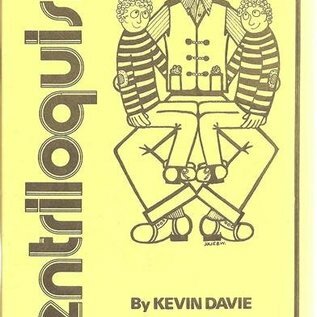 A new modern book on all aspects of ventriloquism, written by a true artist in this field-Kevin Davie of South Africa. He devotes the first section of his book to the technique of ventriloquism, including breathing and the voice. Then he discusses the figure, the methods to bring it to life, so that it becomes your partner in the act. This section also covers dialogue and novelty ventriloquist devices. Performing for children and for adults, and the art of singing while doing the act are carefully explained, plus the near-distant voice and distant voice, and the muffled voice. 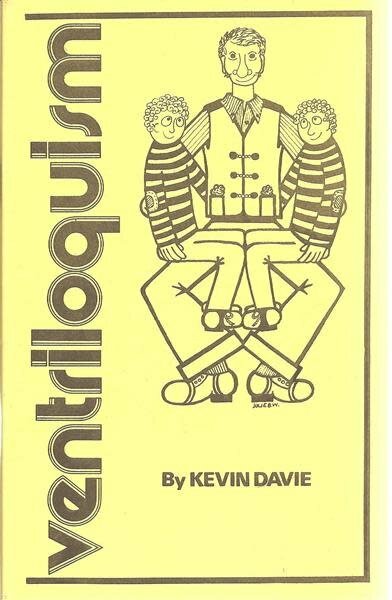 These dramatic variations are what constitutes a truly professional ventriloquist, and Kevin Davie explains them so you can work on them. Finally he covers a subject seldom dealt with in other books of this type -- step by step he shows you how to make your own figure if you care to. Excellent drawings by Ron Aldo throughout the book help to make it all clear. Professional John Bouchier has written an introduction. You will enjoy this first book by a South African, and you will find yourself anxious to get started with your figure. If you prefer to buy a ready made one, we also include details on availibility, etc. Many illustrations, 70 page book.